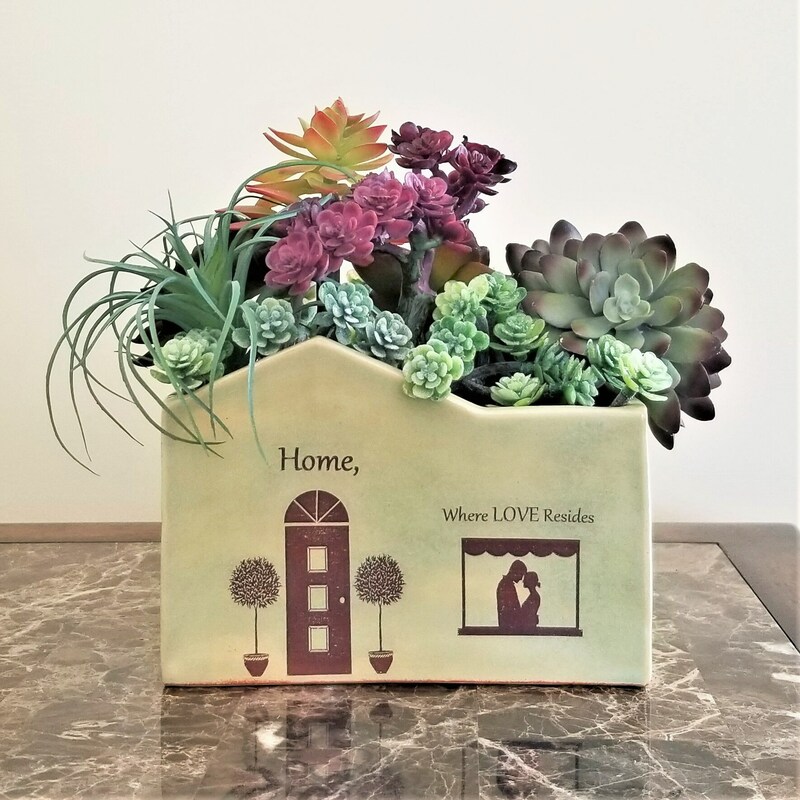 My "Home", succulent planter is just the right size for that empty spot in your kitchen, bedroom, bath or patio. 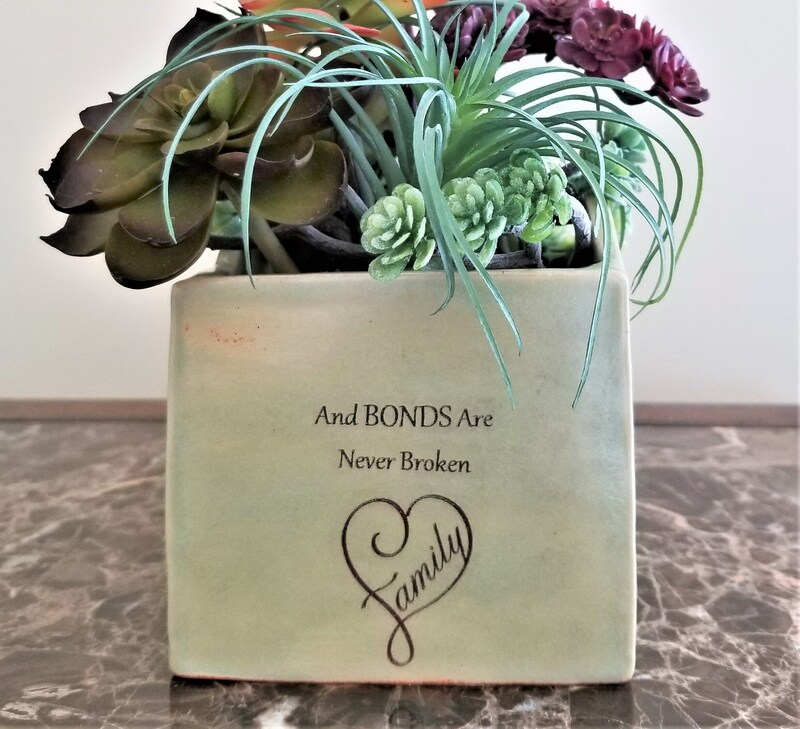 I created this rustic planter from stoneware clay, and it features an inspirational design and wording on all four sides. 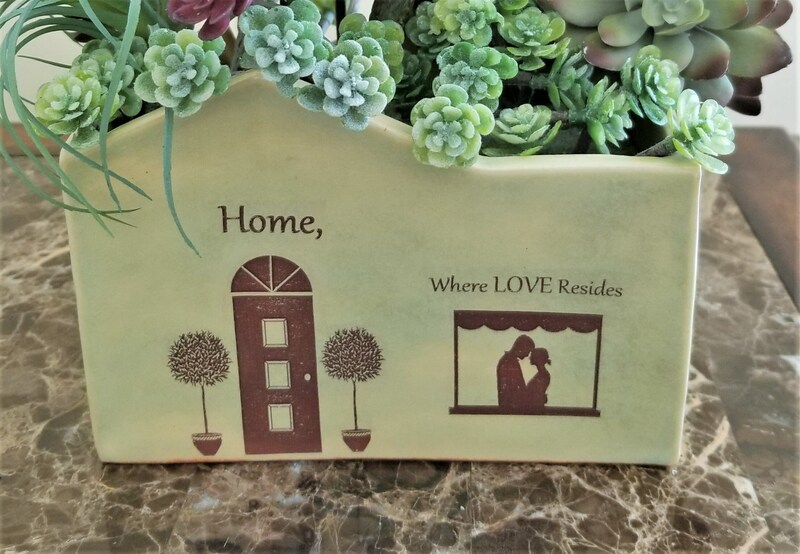 The planter reads: "Home, Where Love Resides", "Memories are created", "Friends Always Belong", "And Bonds are Never Broken". 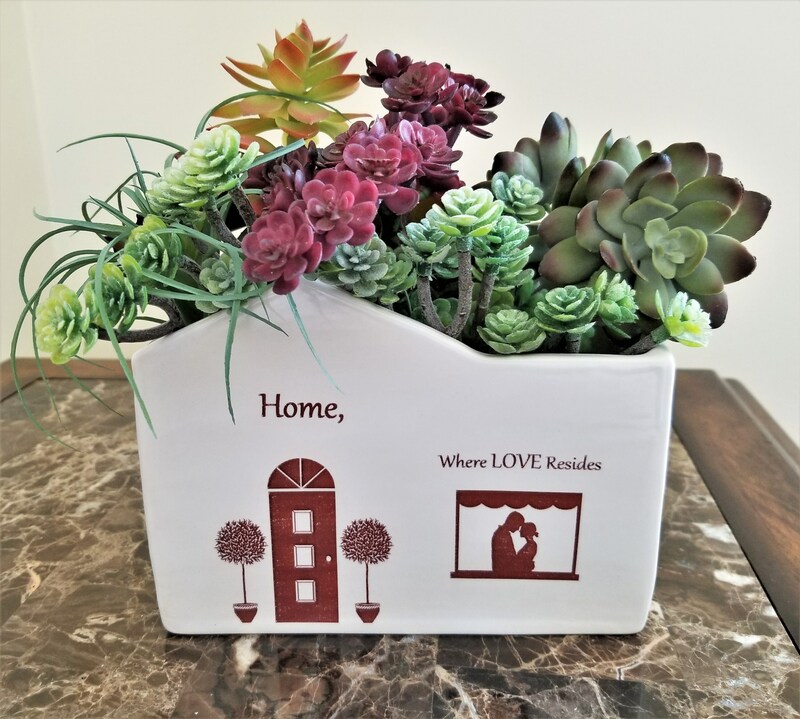 This planter is glazed inside and out, is water-tight and ready to accept your favorite live plant or succulent. 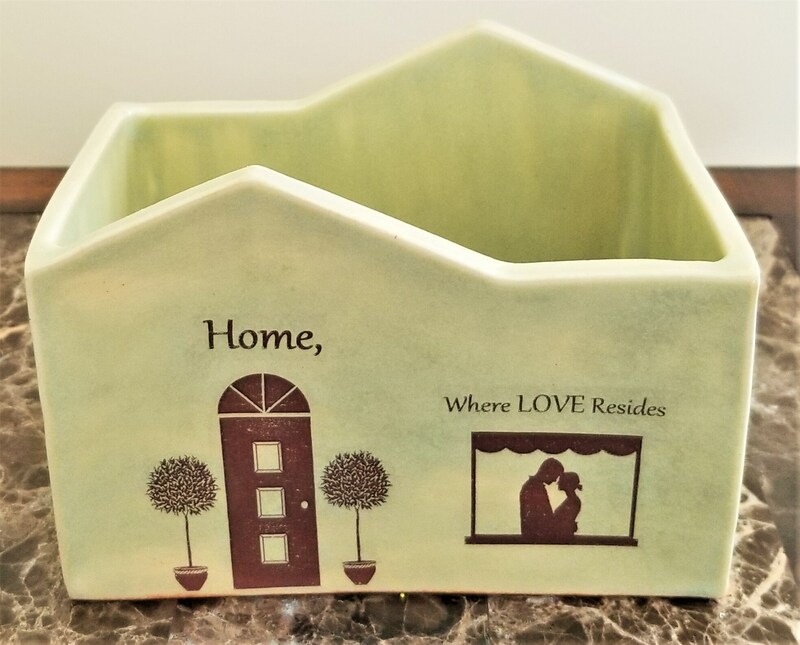 I offer this planter in pale green OR white with a rustic brown design and wording. PLEASE SELECT YOUR COLOR CHOICE & QUANTITY FROM THE DROP-DOWN MENU. 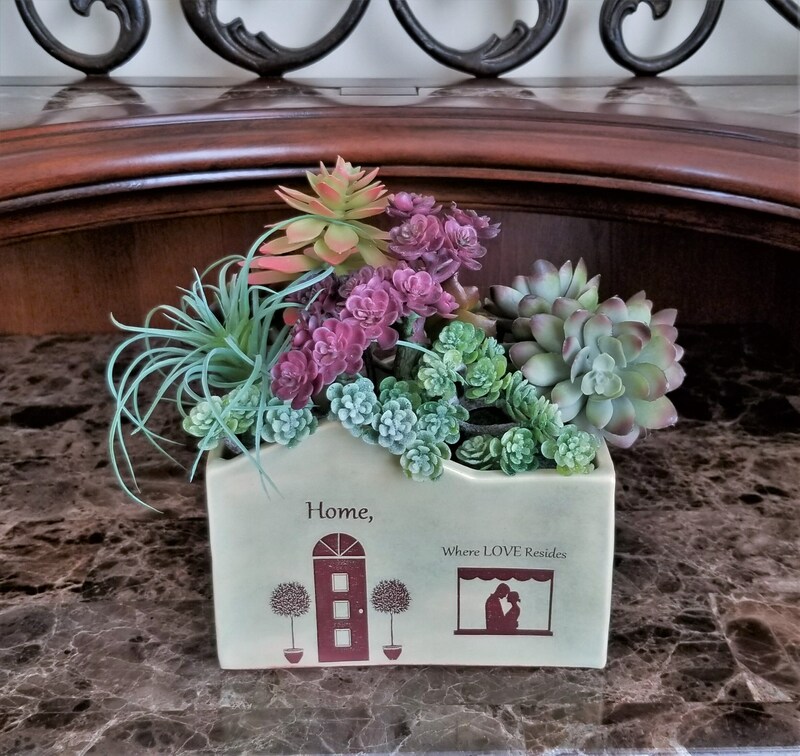 Each house planter measures 6.5" x 4.25" and is 3.75" deep. 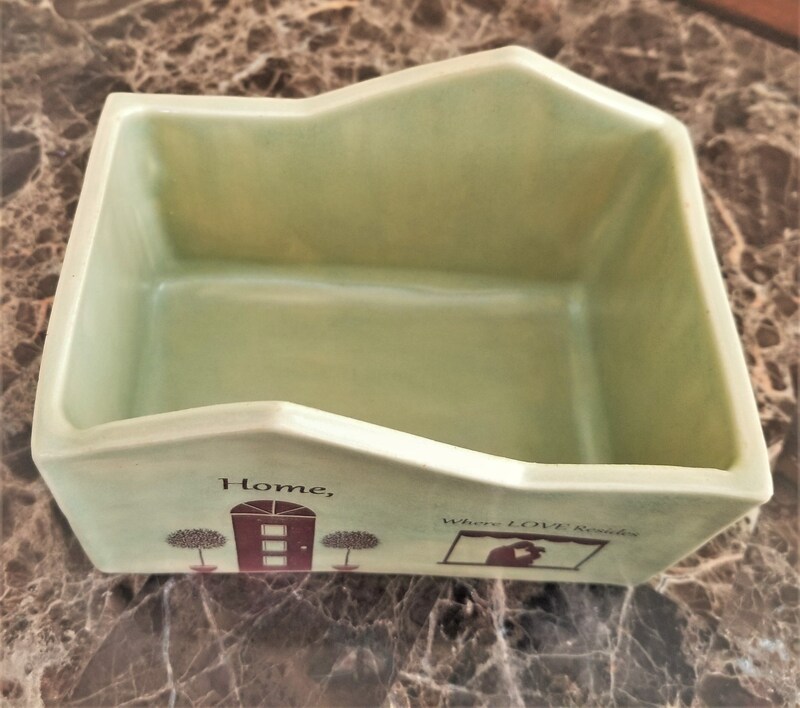 Kiln-fired to cone 5, this ceramic planter may be used indoors or outside. 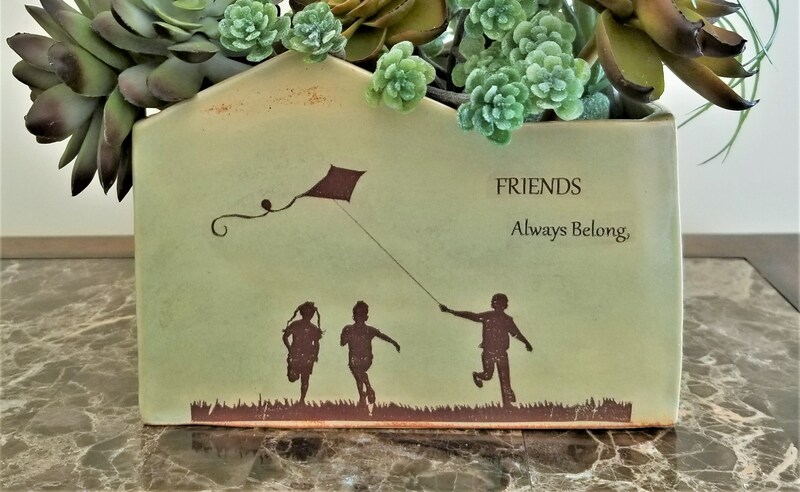 It would look charming in an outdoor garden as well as in any room of your home. 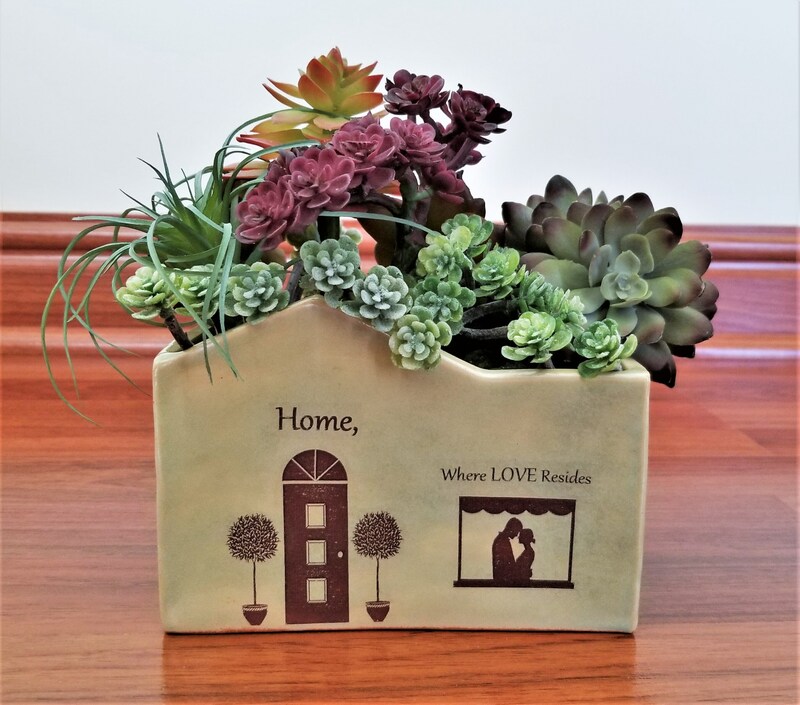 My "Home" succulent planters are wonderful birthday, Mother's Day or housewarming gifts! 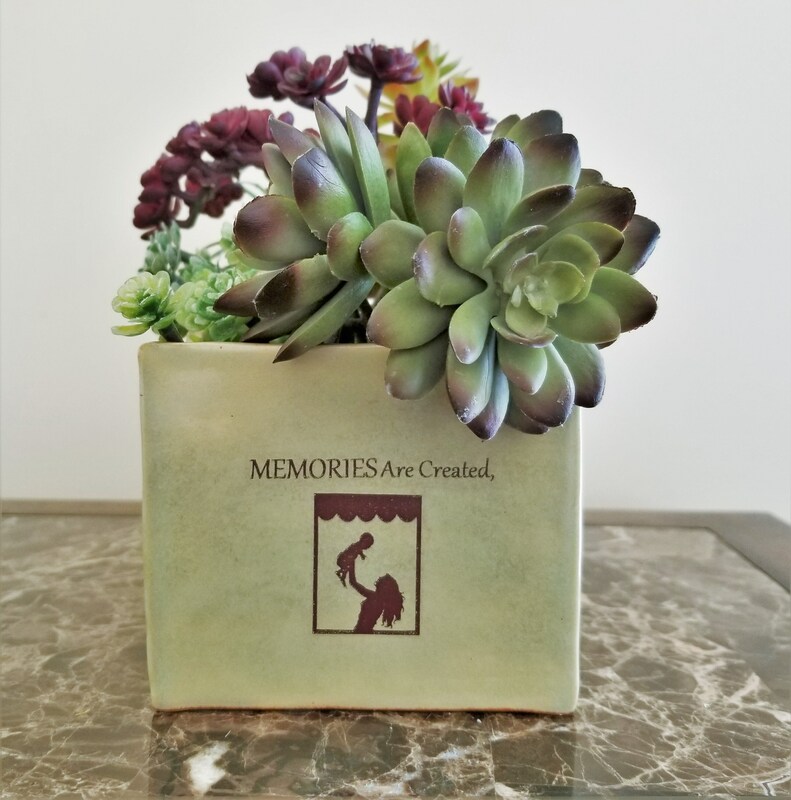 Please note: Succulents shown in the photos are not included.